Ding Dong Lounge, Halloween weekend! 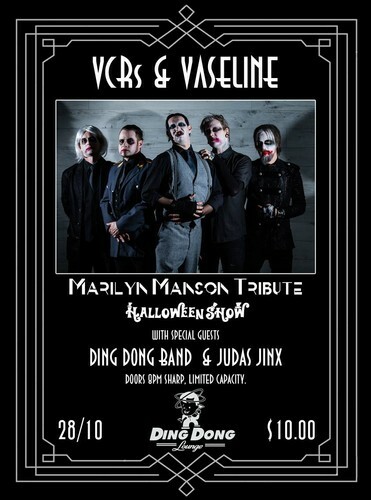 Come join New Zealand's only Marilyn Manson Tribute band; VCRs & Vaseline in celebration of all things obscene, grotesque & beautiful! Performing with them is the legendary Ding Dong Band & urban legend Judas Jinx making a rare appearance on the decks. Capacity is extremely limited with door sales on the night.